Agha Steel Industries Limited (ASIL) intends to issue OTC listed, rated and secured Sukuk upto PKR 5 billion (inclusive of Green Shoe option of PKR 1 billion) for a tenure of six (6) years inclusive of a grace period of 2 years, in order to fulfil its expansion plans and investing in futuristic technologies which will make the company amongst the most efficient and sustainable players in the industry. The company has mandated Habib Bank Limited and Bank AL Habib Limited as lead advisors and arrangers for the transaction. Specifically, identified Musharika assets are set to be utilized under a qualified Shariah advisory board. The company intends to receive bids from 10 to 30 April 2018 from qualified institutional buyers. 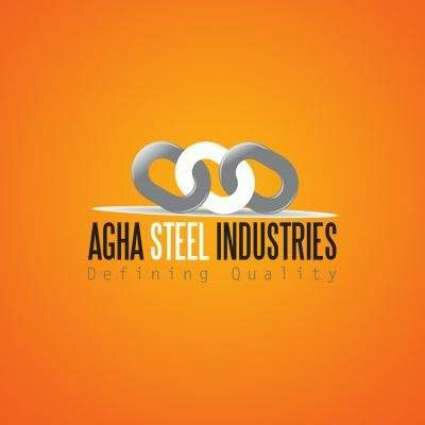 Agha Steel Industries Executive Director Hussain Agha revealed. The company, through this initiative, shall be able to invest in technologies which will make ASIL at least 30 percent more energy efficient than the average manufacturer within the domestic industry. Most importantly, it is ASIL’s goal that its prospective investors attain the best value proposition in respect to our strategic vision of an Initial Public Offering (IPO) soon. The proceeds of the Sukuk will be utilized by the company to fund a portion of costs associated with balancing, modernization and replacement (“BMR”) activities to existing and new facilities for an increase in production capacity and efficiency. The company shall also commission a new rolling mill unit increasing the annual re-rolling capacity of the company from 150,000 MT to 650,000 MT. Agha Steel Pvt Ltd manufactures steel products. The company was founded in 2013 and is based in Karachi, Pakistan.